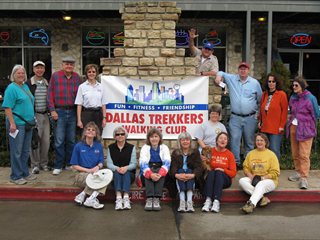 Established in 1979, the Dallas Trekkers promote non-competitive walking and other family sports activities. We sponsor 6 to 8 walking events a year. These walks are open to anyone who wants to walk and you walk at your own pace. We also sponsor year-round walks around the Dallas metroplex. These year-round walks are open most every day of the year so you can enjoy them whenever your schedule allows. We are affiliated with the Texas Volkssporting Association (TVA), the American Volkssport Association (AVA), and the International Federation of People's Sports (IVV). The word "volkssport" comes from a German term that means "sport of the people." There are more than 300 volkssporting clubs in the United States and more than 3000 events each year. 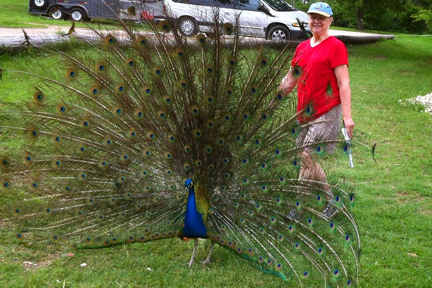 There are city walks, rural walks, historical walks, state park walks, to name a few. Come visit us at one of our event walks here in the Dallas area or join us in a group walk at one of our year-round events. Saturday, April 06: Azalea Walk - we'll start in Reverchon Park and follow the trails and explore the parks along Turtle Creek. Saturday, April 20: Sunnyvale Bluebonnet Walk - walk the bluebonnet-lined, paved path in Samuell Farm North Park and nearby neighborhoods. Read about us at: Green Source DFW.